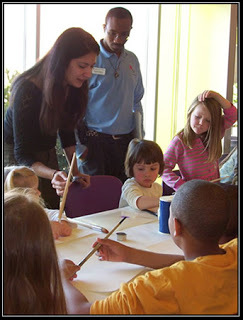 Learn about author-illustrator Salima Alikhan. 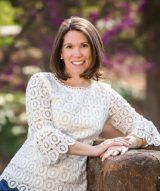 Peek: “My mother is from Germany, and my father was born in India and raised in Pakistan. Therefore I grew up with a very interesting mix of fairy tales in the household.” Note: Salima now makes her home in Austin, Texas. In Austin, Texas, bats seem to be everywhere! Just when the citizens begin to fear that their flying-critter situation is spiraling out of control, a mysterious man appears and offers to help them with their problem. At first, everyone is skeptical, especially when it seems that playing an elegant silver pipe is his solution. But as the melodious tunes fill the Austin air, bats suddenly surround the Piper, following him as he leads them to the Congress Avenue Bridge, where they hang out of sight. The town rejoices until the Piper returns demanding payment from the mayor. When his request is refused, he retreats with warnings of consequences. Once again, he plays his enchanted pipe. Charming music moves through the city, but now the Piper has a new following—the children of Austin. After the Piper and the dancing children begin to disappear just like the bats, frantic parents realize that the Piper’s threats were real. Finally, they promise to pay the Piper if he returns their beloved children. When he agrees to the compromise, the kids return to joyful cheers and hugs. The Piper collects his payment, and he is never seen or heard from again. This is the classic tale of the Pied Piper told with a Texas twist. The strikingly colorful illustrations will inspire children’s imaginations as much as the whimsical story itself. What first made you decide to write for young readers? I’ve always drawn and written in what I guess is the fantasy vein, which seems to lend itself naturally to children’s books. It wasn’t a conscious decision; it was just that what has always come out of me seems to match this particular genre. Could you tell us about your path to publication–any sprints or stumbles along the way? Could you update us on your back-list titles, highlighting where you see fit? 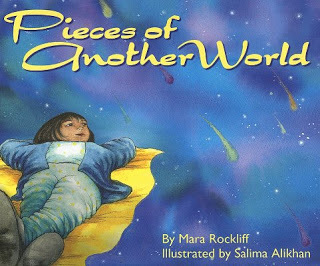 The books I’ve illustrated are Pieces of Another World by Mara Rockliff (Sylvan Dell, 2005, 2010), Rocky Mountain Night Before Christmas by Joe Gribnau (Pelican, 2007), and my latest, The Pied Piper of Austin (Pelican, 2009), which I wrote and illustrated. 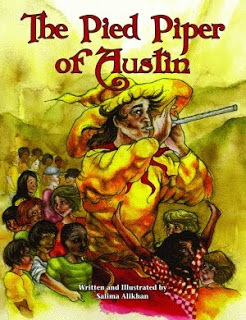 Congratulations on the publication of The Pied Piper of Austin (Pelican, 2009)! Could you tell us about the story? Thank you! It’s a regional take on the classic fairytale. 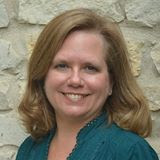 It’s about the Piper, a cryptic stranger who visits Austin, gets betrayed by the (fictional) mayor, and seeks revenge. Well, as a child I loved the fairy tales that had nothing to do with princesses—the Pied Piper of Hamelin, Puss in Boots, The Emperor’s New Clothes. And I love Austin. The Piper seemed like sort of a natural fit for Austin. And truth be told, I love the darkness and ambiguity in the original story, the fact that there’s no clean resolution. I changed that bit of course, and made it more child-friendly. The inspiration was in September 2007, I think, and it was published almost exactly two years later. No major events along the way; very smooth sailing, aside from what may have been a bigger event for one of my poor friends than it was for me—getting him to wear tights and play a wooden spoon for the Piper’s reference shot pictures. I usually draw out of my head, and was challenged here because I had to make things resemble actual Austin landmarks. For me, it is much harder to draw from life than imagination. I visited City Hall, the Capitol, the sculpture garden, Mount Bonnell, Barton Springs, the Congress Bridge. There are slight deviations from those places, but for the most part they are recognizable. What about the picture book audience appeals to you? I love kids. I’ve worked with them for years (I was an art teacher) and only stopped because I found the combination of teaching and doing picture books to be a little too much. I still get to be around them when I do school visits though, which is a lot of fun. 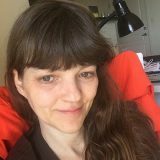 I would assure myself that my initial hunch was right—that if I persist, learn, practice, and retain that crazy faith in myself that all writers must have (but that sometimes feels groundless before you see any reward)—I would break into the industry. So I would pat myself on the back and say, “Good job.” I would also caution myself to have a little more patience. How about if you could go back and talk to yourself when you were a beginning illustrator? The same as above. Writing and illustrating have always been a package deal. To me, it just feels like “the work,” all in one. Making contacts at stores you know might carry your book. In the Austin area, this is incredibly easy because there are so many small shops that cater to Austin area artists/authors. School visits are also a huge plus. Also, for the record, scheduling them is not difficult. For my second book, I cold-called every single elementary school in Austin and had about ten visits that year, which isn’t bad. Even with school budgets being cut, some can still afford to have an author out. How do you balance your creative life as a writer-artist with the responsibilities (speaking, promotion, contracts, etc.) 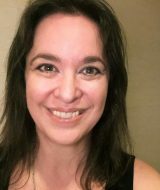 of being an author-illustrator? I am not organized. I could do with a schedule-monkey who lives on my shoulder and reminds me of the smaller things (eating, sleeping, actually selling the books I work so hard to make). I would then be free to live in the ether that may or may not become a story one day. To answer fairly, though, I’ve been pretty ambitious about scheduling appearances and signings in the last couple years, but, like most artists, what I definitely enjoy most is being home in my PJs and creating. Other than your own, what is your favorite recent picture book and why? 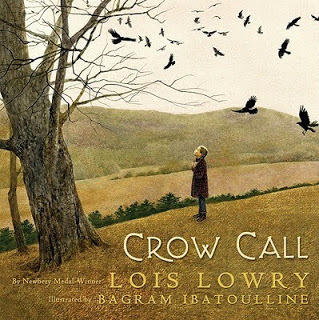 I loved Crow Call by Lois Lowry (Scholastic, 2009). I love her, I love illustrator Bagram Ibatoulline, I love the Andrew Wyeth-y palette, I love the somber, honest story. I bike, I hike, I do yoga, I hang out with my friends and beautiful kitty Esme. Most of my time, however, is spent writing and drawing. Well, I’m illustrating another book for Pelican called Lawyer’s Week Before Christmas. I also have a book I wrote and illustrated out for submission, and I’m writing a YA fantasy novel. Busy, but very exciting.